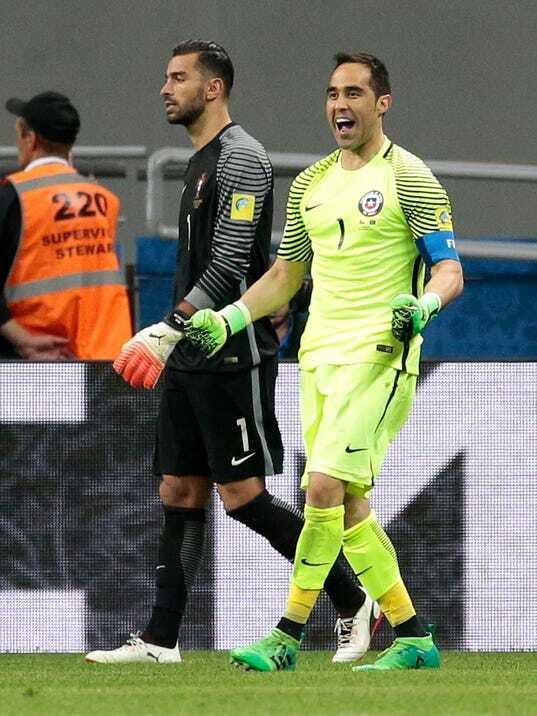 KAZAN, Russia (AP) — Claudio Bravo made three penalty saves as Chile crushed Portugal 3-0 in a penalty shootout to reach the Confederations Cup final on Wednesday. Bravo, who missed the first two cup games in Russia because of injury, stopped penalties by Ricardo Quaresma, Joao Moutinho and Nani, sending Chile to its third straight international final after winning consecutive Copa America titles. The teams were drawing 0-0 after normal and extra time.